LG G2 is going to be known for. No, the G2 will be remembered as one of the few devices to bring true hardware innovation for the first time in many years. While most makers just keep on pushing the number of CPU cores or go overboard with screen size, LG takes a fresh approach to how you interact with a big-screen phone in the most natural way. Price of LG G2 in Pakistan is 51,900 Rupees. LG G2 has a large 5.2 inch screen . It has 178.5 x 70.9 x 8.9 mm of dimensions . It has only 143 grams of weight. In our views this device has been different until we actually get to see them from a fresh perspective. The LG G2 infact revolutionizes by putting the Power aka Lock key on the back of the phone at the direct disposal of your index finger. There is another option to unlock your screen and that is a just double tap on your sleepy screen. You are free now of any extra finger stretching and using the other hand or doing some magical air gestures on the screen to unlock it. Now that you can enjoy the totally new ways of making things happen. You can also feel this smartphone when you use its brilliant 5.2" IPS+ display with rich colors, contrast, viewing angles and very low reflectiveness under the sun light. 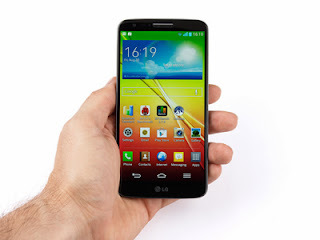 The LG G2 has the most powerful chipset on the market this time. It has Snapdragon 800 with a quad-core 2.3GHz Krait 400 processor. Its GPU is Adreno 330 that provides a very brilliant graphics. It has a 2GB of RAM too to enhance your experience. On the back side of the phone there is the 13MP camera that is capable of optical image stabilizations and it records full HD videos at a high rate of 60 fps. It has a Infra Red port and it can be used as a remote for your home appliances like TV , LED , and other gadgets. All the above description is the merely the most first sight things! Here comes the detailed list of all prominent features.